INTRODUCTION Plant biomass exhibits recalcitrance to mechanical, chemical, and enzymatic treatments due to its complex heterogeneous structure (Cosgrove 2005; Iiyama et al. 1994; Himmel et al. 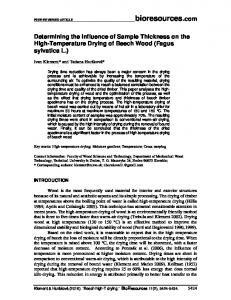 1999; Wyman et al. 2005). Pulping is a conventional biomass conversion process to separate fibers by means of mechanical action, chemical action, or a combination of them. To reduce the recalcitrance of biomass, different pretreatment methods have been developed, such as chemical pretreatments, enzymatic pretreatments, and mechanical pretreatments (Chang et al. 1998; Esteghlalian et al. 1997; Kim and Lee 1996). All of them accomplish the reduction of recalcitrance by weakening bonding, depolymerizing, and solubilizing components of biomass (Grous et al. 1986; Mosier et al. 2005). Screw extrusion is a short-time pretreatment technology for production of conventional mechanical pulp. During the screw extrusion process, raw materials are treated under short residence time, high pressure, and strong shear forces. Extrusion of chips could promote the penetration of chemicals into wood, and it has been applied successively in the production of alkali peroxide mechanical pulp (APMP) and chemthermol mechanical pulp (CTMP) (Xu et al. 1999; Yuan et al. 2006). 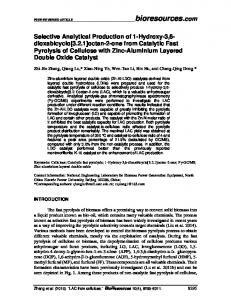 However, there has been no report about its application in chemical pulping. In order to solve problems related to the shortage of wood materials for pulp and paper industry in China, fast-growing poplar has been introduced, and it has become an important raw material for the pulp and paper industry in recent years (Tang et al. 2006). Fast-growing poplar grows fast for the first 5 to 7 years, and its harvesting cycle is short. It has many advantages compared to other hardwood, such as fast growth, better adaptability, good quality, and high economic efficiency. Poplar wood chips can be permeated easily by pulping chemicals due to its low basic density (Pang et al. 2004). However, poplar chemical pulp is characterized by a high consumption of active alkali and high concentration of residual alkali. 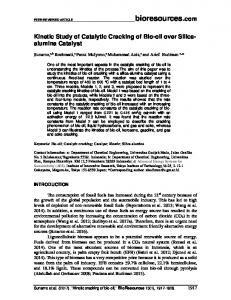 The objective of this paper was to find a feasible method to reduce the chemical charge for pulping, thus enabling a reduction in the environmental impact. Extrusion treatment was selected as a processing technology in poplar chemical pulping, since it requires no chemical input and thus can be considered as being environmentally friendly. where Cuncom is a component content before compression, Ccom is the component content of chips after compression, and Y is yield of wood chips after compression. Chemical pulping Wood chips were cooked in a 15-L batch cylindrical rotatory digester. The operating conditions for kraft pulping were: active alkali charge was variable; sulfidity, 20%; and liquor/wood ratio, 5/1. The operating conditions for Soda-AQ pulping were: active alkali charge was variable; AQ, 0.05%; and liquor/wood ratio, 4/1. The curves of raising temperature for the two pulping methods were similar: temperature, 165°C; time to 165°C, 90 min; and reaction time, 120 min. The chips were discharged after cooking. The cooked fibers were soaked overnight and then washed under running water to remove the residual liquor. After washing, the materials were disintegrated and screened with 0.30 mm slotted plate. Pulp fractionation The pulps were fractionated using a Bauer-McNett classifier. The long fiber retained on 28-mesh screens were coded as R28, passed 28-mesh screen but retained on 50-mesh screen coded as P28/R50, and so on. Handsheet making and physical testing The pulp samples were beaten to 45±1°SR in a PFI mill and handsheets were made for determining various strength properties. The sheets were then conditioned at 23±1°C and 50±1% relative humidity overnight. Kappa number, screen yield, beating degree, folding endurance, tear index, and brightness were performed in accordance with relevant standards. RESULTS AND DISCUSSION Effect of Compressive Pretreatment on Chemical Components of Poplar As shown in Table 1, holocellulose, lignin, and pentose contents of raw material were 79.52, 24.18, and 24.92%, respectively. The extractives contents of poplar were 2.15, 3.27, 21.07, and 2.69%, corresponding to cold water, hot water, 1% NaOH, and alcohol-benzene, respectively. Wood chips are prone to split, and bulk density decreases after extrusion, which influences not only the physical properties, but also leads to extensive chemical component changes. Effects of pretreatment on the chemical components of poplar are presented in Table 2. 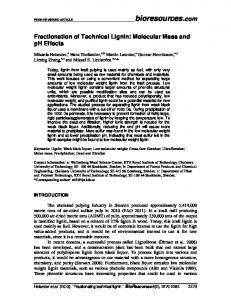 Pretreatment of wood chips made a major contribution to leaching of extractives, while the content of lignin changed little due to its high molecular weight and network structure. 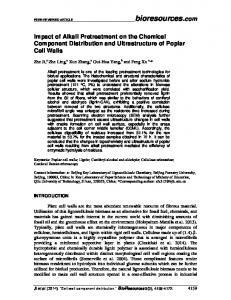 In addition, some hemicellulose oligomers dissolved, which was demonstrated by the decrease of pentose content. Extractives, especially those removed by 1% NaOH, had a key influence on alkali consumption of chemical pulping. It could be presumed that compression of wood chips would reduce alkali consumption of chemical pulping. As shown in Table 3, the content of long fibers that was retained on the 50-mesh screen was 54.18% after compression, which was almost equal to that of untreated chips. However, the content of fines that passed 203-mesh screens was slightly increased from 11.23% to 13.57%. This indicated that forces generated during extrusion of poplar wood chip with compression ratio of 4:1 could not result in severe fiber damage. Effect of Compressive Pretreatment on Properties of Chemical Pulping Kraft and soda-AQ pulping methods are widely accepted as the dominant chemical pulping processes. Kraft pulp exhibits superiority in pulp quality, high efficiency in chemical recovery, and suitability for most types and species of feedstock. As for soda-AQ pulping, it causes odor pollution, and is only suitable for loose fibrous materials. 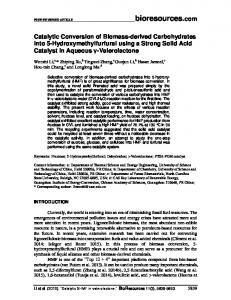 The effect of compression on properties of kraft pulp and soda-AQ pulp was therefore investigated. As shown in Table 4, the optimum active alkali charge for conventional kraft pulping and soda-AQ pulping was 18 to 20%. The wood chips could obtain a relatively high screen yield at this condition, and kappa number could meet the requirements of manufacture. The kappa number of pulp gives information regarding the performance of cooking, residual lignin content in pulp, and the delignification efficiency degree of pulp. As shown in Table 4, the kappa number of the pulp was influenced by compression of wood chips. In order to achieve similar screen yield, kappa number of kraft pulp from compressed wood chip was lower than that of untreated pulp, which implied that compression could lead to an increase of delignification efficiency. For example, the kappa number of compressed pulp was 18.77 when the screen yield was about 51.5%. However, the kappa number of untreated pulp reached 19.74. It should be stressed that the dosage of alkali of compressed wood chip was only 14% to reach similar screened yield, which was lower than 20% in the case of untreated wood chip. 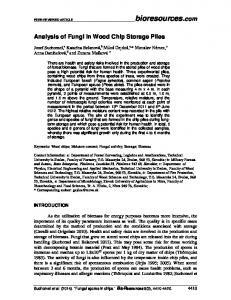 Moreover, compression of wood chips also reduced the rejects rate of wood pulp. That’s important for conserving wood resources and improving the utilization of wood material. The trend for soda-AQ pulp was similar. The results of the mechanical and optical tests performed with handsheets of different pulps were presented in Table 5. 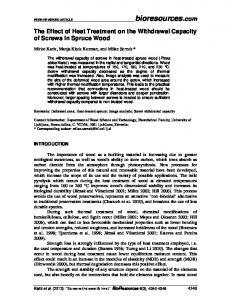 Beating can improve bonding between fibers and thus enhance strength properties. 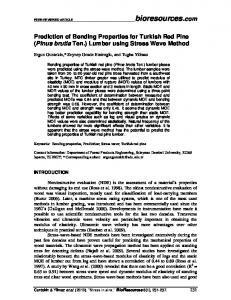 Similar pulp beating degrees for untreated and compressed pulp were achieved by applying different beating revolutions. It was found that, irrespective of whether the chips were subjected to kraft pulping or sodium-AQ pulping, the required beating revolutions to a target beating degree of 45°SR of untreated pulp were much higher than that of compressed pulp. The beating revolutions for kraft pulp could decrease from 19000 to 17000 as a consequence of pretreatment, and that of soda-AQ pulp could also be decreased from 24500 to 20000. Beating ability of pulp is very important for energy saving of mills and generally depends on the chemical composition of pulp. The striking difference in required beating revolutions between the untreated pulp and compressed pulp with regards to the consumed energy was most probably due to the fact that pretreatment changed the structure of wood chips. Thus, more cellulose was exposed because of the degradation of hemicelluloses, and the exposed cellulose participated directly in the swelling process. On the other hand, the compressive treatment had a slightly negative effect on mechanical properties, which could be exhibited by decreases in folding endurance and tear index. 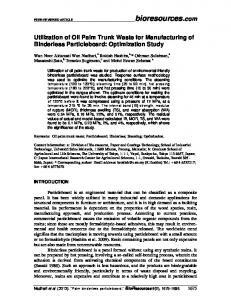 The results of Table 5 showed that the handsheets of the compressed pulp had slightly lower folding endurance and tear index than those of the corresponding untreated pulp. 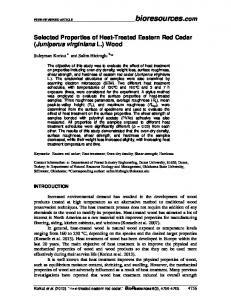 The decrease of hemicelluloses was identified as one of the main reason for the loss of mechanical strength of wood fiber. 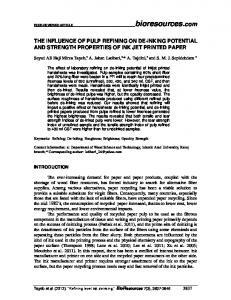 The brightness of handsheets obtained from compressed pulps was found to be higher than that of untreated pulp. The brightness of handsheets obtained from compressed kraft pulp and soda-AQ pulp at 14% alkali charge pulp could reach as high as 30.8% ISO and 30.7% ISO, respectively, which were higher than that of untreated pulp cooked at all levels of alkali charge. The higher the brightness of pulp, the lower the value of kappa number would be. 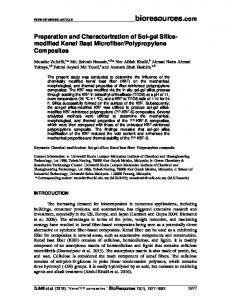 The results in Table 5 were in accordance with the results in Table 4, which further confirmed the conclusion that compression treatment of chips could reduce the kappa number of pulp. CONCLUSIONS The effect of compressive pretreatment before chemical pulping on the properties of poplar kraft and soda-AQ pulp were evaluated, and the following conclusions could be made by the investigation: 1. The compressive pretreatment of poplar wood chips before chemical pulping has the potential of being more widely applied in chemical pulping processing. 2. The pretreatment could result in the dissolution of hemicelluloses and leaching of extractives. Energy consumption and alkali consumption were reduced by pretreatment, and the brightness of the treated pulp was improved. 3. The fiber length of poplar was not influenced, and mechanical properties were slightly decreased. ACKNOWLEDGMENTS The authors are grateful for the financial support from the National Science Foundation of China (Grant No.30972326, No.31070525 and No. 31100434), Talented Scientist of Shandong Province (BS2011CL035), and Science Foundation for colleges and universities in Jinan (201102052). 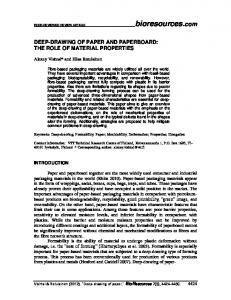 REFERENCES CITED Chang, V. S., Nagwani, M., and Holtzapple, M. T. (1998). “Lime pretreatment of crop residues bagasse and wheat straw,” Appl. Biochem. Biotechnol. 74, 135-159. Cosgrove, D. J. (2005). “Growth of the plant cell wall,” Nat. Rev. Mol. Cell Biol. 6, 850861. Esteghlalian, A., Hashimoto, A. G., Fenske, J. J., and Penner, M. H. (1997). “Modeling and optimization of the dilute-sulfuric-acid pretreatment of corn stover, poplar and switchgrass,” Bioresour. Technol. 59, 129-136. Grous, W. R., Converse, A. O., and Grethlein, H. E. (1986). 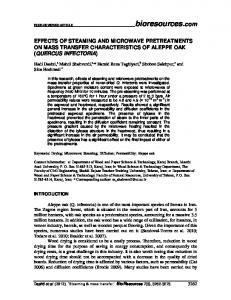 “Effect of steam explosion pretreatment on pore size and enzymatic hydrolysis of poplar,” Enzyme Microb. Technol. 8, 274-280. Himmel, M. E., Ruth, M. F., and Wyman, C. E. (1999). 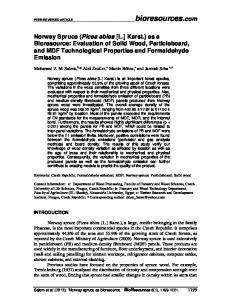 “Cellulase for commodity products from cellulosic biomass,” Curr. Opin. Biotechnol. 10, 358-364. Iiyama, K., Lam, T. B. T., and Stone, B. A. (1994). “Covalent cross-links in the cell wall,” Plant Physiol. 104, 315-320. Kim, S. B., and Lee, Y. Y. (1996). 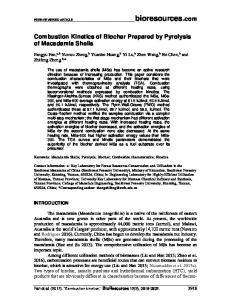 “Fractionation of herbaceous biomass by ammoniahydrogen peroxide percolation treatment,” Appl. Biochem. Biotechnol. 57/58, 147156. Mosier, N., Wyman, C. E., Dale, B., Elander, R., Lee, Y. Y., Holtzapple, M., and Ladisch, M. (2005). 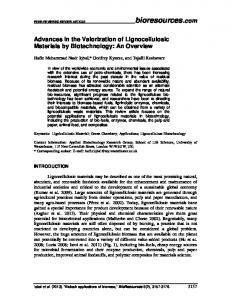 “Features of promising technologies for pretreatment of lignocellulosic biomass,” Bioresour. Technol. 96, 673-686. 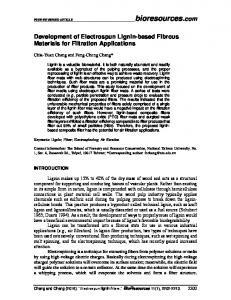 Pang, Z. Q., Chen, J. C., and Yang, G. H. (2004). “Fiber morphology and pulping properties of the triploid of Populus tomentosa at different ages,” China Pulp & Paper 23, 14-17. Tang, Q., Pu, J. W., Yao, S., and Li, Q. (2006). “Study on the pulping and bleaching performance of four species of fast growing poplar,” Pap. Sci. Technol. 25, 1-4. Wyman, C. E., Dale, B. E., Elander, R. T., Holtzapple, M., Ladisch, M. R., and Lee, Y. Y. (2005). “Coordinated development of leading biomass pretreatment technologies,” Bioresour. Technol. 96, 1959-1966. 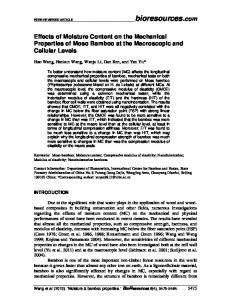 Xu, E. C., and Sabourin, M. J. (1999). 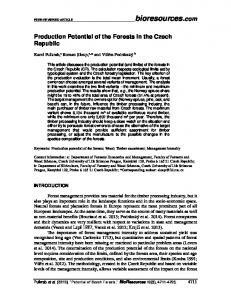 “Evaluation of APMP and BCTMP for market pulps from South American eucalyptus,” Tappi J. 82(12), 75-82. 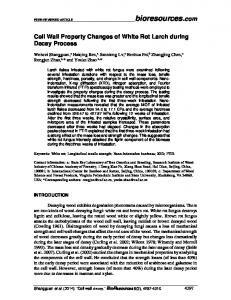 Yuan, Z. R., Heitner, C., and McGarry, P. (2006). 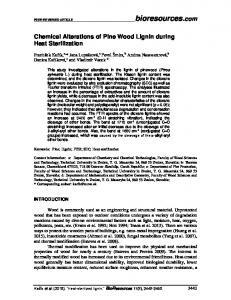 “Evaluation of the APMP process for mature and juvenile loblolly pine,” Tappi J. 5(7), 24-32. 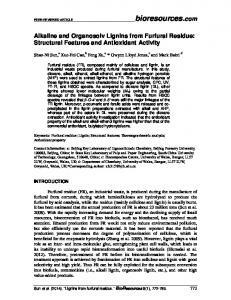 Article submitted: February 6, 2012; Peer review completed: May 8, 2012; Revised version received: June 29, 2012; Accepted: June 30, 2012; Published: July 6, 2012.